If you're like me, you may know that Lydia plays a role in scripture, but you can't recall exactly what that role was or in what passage she is found. Or maybe, when you hear that she was a "dealer of purple cloth" it rings a bell, just not a very clear one. Regardless of how much you know of Lydia, I think there is more to learn from this seemingly strong and hospitable lady (at least I know that I learned a great deal more from Pastor Beaty's Mother's Day sermon). As Paul shared the Gospel, Lydia's "heart was opened to his message"
And here, following the baptisms, is where we are tempted to end our study. In doing so, we overlook a very important element of Lydia's witness. 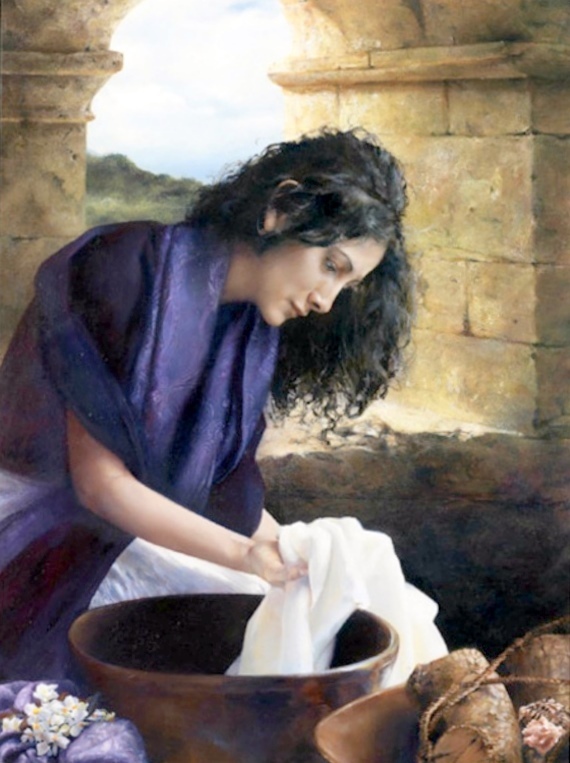 The scripture says that after they were baptized, .... she invited us into her home. "If you consider me a believer in the Lord," she said, "come and stay at my house." And she persuaded us. Now, couple this with what we see in verse 40, After Paul and Silas came out of the prison, they went to Lydia's house, where they met with the brothers and sisters and encouraged them. Personally, I believe the beauty of the early church was that it relied on so many house meetings and open homes. We see in Lydia, a "won't take no for an answer" response to having the missionaries, then later the "brothers and sisters" gathered in her home. She wasn't worried about whether or not there was room, or if the kitchen was left a mess, it was much more important to prioritize fellowship, teaching and encouragement, so she provided a place for that to occur. Her spirit made such an impact on Paul, that later in his letter to the Philippians he expresses his gratitude for their fellowship in the gospel from the first day until now (Philip.1:3-5), a clear reference to his initial encounter with Lydia. Lydia's willingness to host and house others is a challenge to us. As a whole, our culture is much less open to the unexpected and unplanned guest that scripture so often describes. We are too busy, too selfish, too distracted, or possibly all three, to genuinely be ready to share "our" possessions and time. I am not always successful, but I like to try and live by the thought that "it's all going to burn!" In other words, all of our man-made materialism will eventually rot, disintegrate or be destroyed. So why not share it in a way that is of service to others and is Kingdom purposed. In light of eternity, this thought process can provide a much more clear perspective. May Lydia's example be one that we more often recall and put into practice.